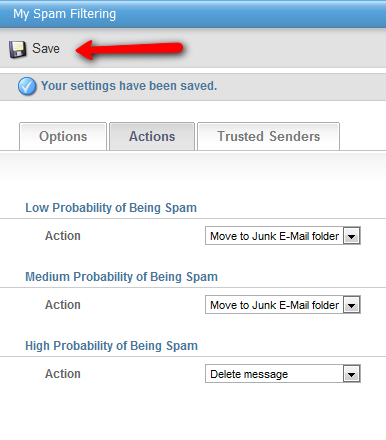 Frequently email users may receive junk email or "SPAM". This is an unfortunate fact of the Internet and especially for users who have common or well known or published email addresses. 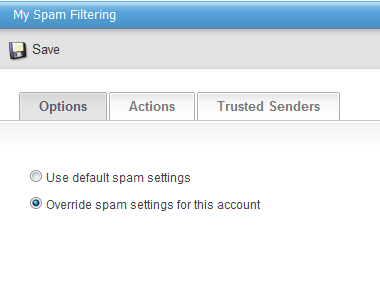 We have default filters on our servers which block many of these email messages before they reach you however some messages do make it through. Then go under the ACTIONS TAB and adjust the settings according to your own personal needs. Click SAVE at the top to save your selection and settings. See the example below. 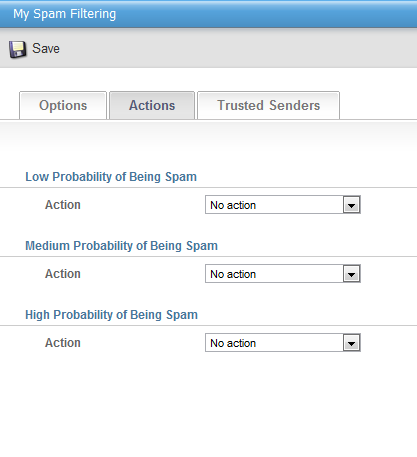 You can also add specific addresses or domain names under the TRUSTED SENDERS section for users that you do not want to ever be blocked.